I am not sure if folks still drop by to visit Bubba's page....he certainly IS STILL A BIG PART OF MY LIFE, but then again-He ALWAYS WILL BE! hears my prayers......I am thankful for that!! I know I am who I am because of what has been in my life and happened in my life...I think we call can relate to that as well! Means alot if you have read this far!! I miss you....just miss you...everything about you....everything! You have made me love you more each day, when you were here and even now that you are gone! More then you know....I am thankful for all our time together and I know you are happy and playing wild and free now :) I will be forever changed because of your love, your warm and fuzzy face and your sweet eyes! Thank you everyone who has shared a part of Bubba with me!! Bubba......I say this name a hundred times a day....it is just a name, a word, some letters to others...to me, it's so much more. I woke up today, October 10, 2011 from a dream that I have not had often....Bub was there...right there...smiling at me :) and just looking at me, as if he were saying "What's wrong mom :) I'm ok and I feel so good now" He was just stunning and so soft...happy and carefree...rolling around in the grass as he always did.....I do think we are blessed to have such special memories and dreams of our companions. I just miss him so much it's an actual HURT that really never goes away. It's truly been a very long and hard 3 years for me.....even though I continue on with lots of things in my life, I cannot get over losing my Bubba....But I did cherish those few moments this morning....I smiled and I thanked God for such a wonderful dream...I am sure there are so many of you out there who feel or have felt the same about your companion. I hope that you too, were blessed to have had that special DREAM and know that they are ok....they are happy, not hurting any longer, and we will certainly meet them again. She is an AMAZING artist and I would HIGHLY suggest checking her out on Facebook and visiting her website below. I will enjoy EVERY day and find PEACE within each day, that I have Alice's last few remaining Snowcloud Kids! 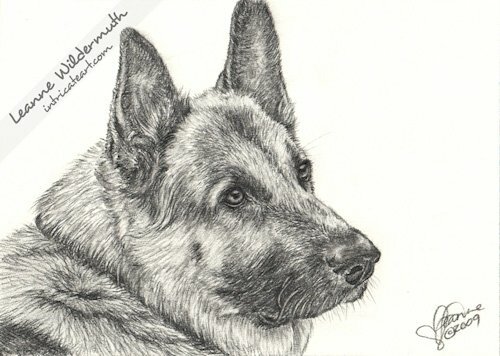 BUBBA was picked for the Portrait of the week on Leanne Wildermuth's site! 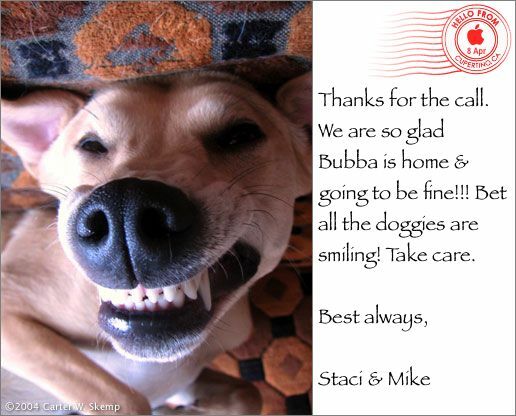 I thank you LEANNE for choosing Bubba and I hope that everyone visiting the website will go to Leanne's Website. God and I are closest to you...in the middle of the night. Because you are only human, they are bound to bring your tears. Then you can say to God at night...."My day was not in vain." And now I am contented...that my life was worthwhile. Knowing as I passed along I made you smile. And when it's time for you to go...from that body to be free. Remember you're not going....you're coming home to me. 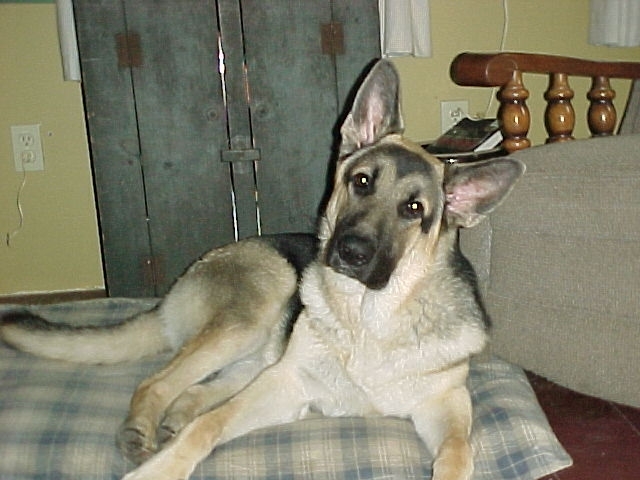 October 10, 2008, I lost one of the greatest LOVES of my life! 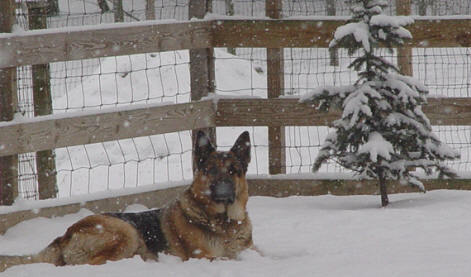 Bub left me naturally.....quiet and serene, my tears falling on his face.....Jack and Bruiser along side us. The TRIO that made my daily life happy, funny and just perfect! Those three were with me non-stop throughout my day! I lost so much when I lost Bubba. My heart is aching and my body is numb. So now as I try to pick up the pieces of my heart and find my path again, I ask that you keep us all in your prayers. One of the GREAT LOVES Of my LIFE! THANK YOU...just for stopping by to share something that could not be DEEPER imbedded into my soul! Bubba is by far one of the greatest things that has ever happened to me! 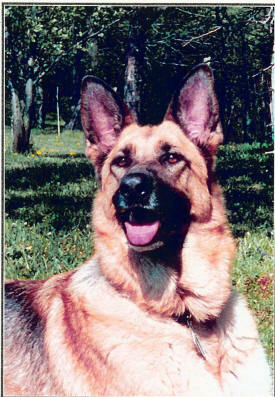 His kindness and devotion helped me set standards for my kennel that I will always be PROUD OF! He is a GIFT! Bubba was such a wonderful puppy! He changed my LIFE! SO, please forgive me if I do not feel like writing, emailing or calling anyone at this point. It's hard to lose a best friend who has been everyplace you have been for the last 10 years.....Bubba has been right there, through it all....the good, the bad and the sad times that we have all shared...I will SO MISS this wonderful boy! Memories are certain to fill the days ahead of me. Those EYES, those funny things he did and how he just made my life so Full and Perfect! Yep, I can say with BUBBA I HAD IT ALL......and we all want that and lots and lots of you have experienced it as well. It's a GRAND part of your life! It's with sadness that I write this but it's with Happiness that I reminisce on all that was given to me in a GIFT I call BUBBA! Bubba's real name is MI CHIEF BRAVEHEART and a Brave Heart is always what he had! Paren, my husband is an incredible guy and has supported me as well through all the ups and down of the kennel and with all the dogs. I want to be sure to THANK HIM for he has given me a gift over and over again, with each day, as I am here with my dogs....loving them, watching them, caring for them and just ENJOYING them! Paren, I love you. Thank you for all you do....for me, the kids and the doggies! Paren Ken & Marian's Little fish another :) from top of hill Paren :) My Boy!! Here is a picture that my great friend KATHI took of me and Bub today, August 14, 2008.....I will treasure this as I do not have many pictures of Bubba and myself...just always got out of the way : ) ha ha I cannot thank her enough....she has been there through it all with me and Bubba and has always been like a second MOM to him :) buying his "glow balls" and sending cookies in the mail......Kathi- thank you for all you have done for Bub and I!! I know that you are always there for us and I know you Love Bubba! Bubba is still doing well, but slowing down. He seems to be missing Cheyenne, she was his ONE and ONLY and I recently lost her. It's been very hard losing my foundation girls to the kennel. Now Cheyenne and her Mom, Cody are gone and things seem to be sinking in.....I am losing my old and faithful friends to TIME.....Bubba still looks for Chey, and I honestly can see a difference in him. Be it my imagination or not, I know that Bubba and Cheyenne were soul mates : ) They were both in love with each other : ) So as time is slipping away from us all, I just wanted to share with you, that I cherish each and every moment with my BUBBA : ) Take time to hug someone today, human or otherwise : ) , smile and be thankful as well... I know that these dogs sure have made a DIFFERENCE in my life and I know there are others out there who have shared that same thing! 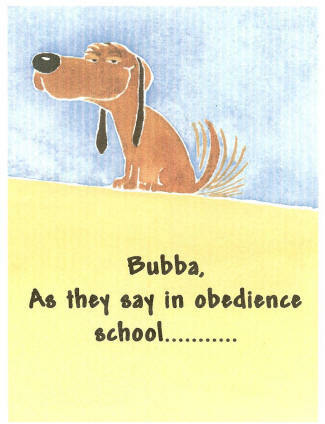 THANK YOU for stopping by Bubba's page : ) Enjoy the rest of the website!! Bubba is doing well....he still continues his acupuncture and that sure seems to be doing him the most good. We would like to mention Dr. Luke Lukasko at Newton Falls Animal Hospital...he is the one who has been helping Bubba along. We cannot say enough wonderful things about Dr. Luke and his staff...They are all just great folks and Bubba really enjoys visiting with them and on occasion a friendly staff cat :) Bubba has been a wonderful mentor to my JACK as well...they continue to hang out together and Bubba is teaching JACK all that he knows :) good and bad ha ha! Bub has been going bye byes with me a little more lately.....Bubba has a NEW old JEEP : ) I was able to get Bub's favorite plates.....they say Mi Bubba :) It's all about BUBBA : ) haha that is what Jack says anyhow.....haha Anyways, I thank you again for stopping by and we hope that you enjoy the rest of the website!! Take care!! Well...with the snow and cold weather, Bubba and Jack still manage to get PLAY TIME in! ha ha They are still best buds. Bubba is doing well though and going with whatever I add! He continues to be my very best friend and still going everyplace with me. We still know that we are on borrowed time with Bubba and with that said we are just very THANKFUL!! He continues to put up with all the puppy stuff going on and will play with each one for just a little while and then leave the rest to Jack, who still thinks he is 3 months old! haha Jack is wonderful with the pups and so we let him enjoy!! Thank you for visiting Bub's page....He is doing good....getting older and still loving me ! ha what more could I ask for! Thanks and enjoy visiting the rest of the website! WOW, it's almost FALL.....I think it's Bubba's favorite time of year as well as mine : ) We have some puppies coming soon...Bubba will be happy!! He is doing quite well and enjoying JACK!! They seem to have a great bond between them and I am happy. Bubba is very special boy to me! Bubba was back to see Dr. Luke for acupuncture.....so far so good and I do believe that it is helping Bubba stay more comfortable! He is getting around good and exercising more and more. 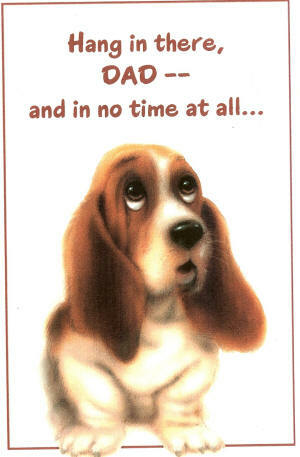 You can visit Dr. Luke and his staff at www.newtonfallsanimalhospital.com They are wonderful folks to deal with!! As always, THANK YOU for stopping by and enjoy the rest of the website. Thank you for visiting Bub's page! It was ONE YEAR ago today that I was Lost and without my Bubba!!! Bubba was at the Akron Hospital awaiting his checkup and what life would have in store for him. I was just so scared and didn't want to leave him there......But I did and I am thankful EVERYDAY for my blessing. He is doing well......One year ago tomorrow will be his surgery date (April 8, 2006) and he has continued to help me!! He has always been my constant companion and I laugh about it but truly he never has me out of his sight!! We left to get a few things yesterday and Bubba and Jack had to go with us.....He keeps me sane! haha Thanks again and I just wanted to share with everyone what a wonderful shepherd Bubba is~ He makes each day wonderful! I have updates at the bottom of the page with some pictures of him and Jack, my new boy in the house.........thanks again!! I know Bub......but you're still DARN CUTE! 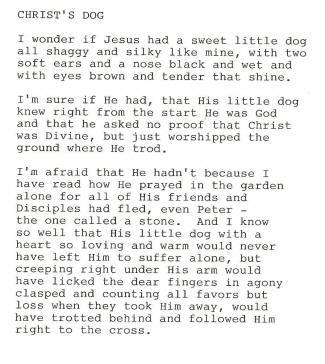 He is here with me today, here is his story......... April 8th, 2006 because of faith and prayer! I have to thank some of our closest friends for calling and sending emails with prayers attached! God hears our prayers! Bubba is, well, ..................BUBBA : ) haha All who know me know that BUBBA is King, Chief, The BIG GUY, and well, you get the picture......... he has been an incredible dog from the beginning..............right from a puppy......I have to say I may have been one of the luckiest people around to get such a great puppy like Bubba. He was and IS just a wonderful Companion!! I left Bubba there........... promising him that we would do everything POSSIBLE to make sure we were able to bring him home soon.....that I vowed to bring him home........... to HIS home where he is safe and where he has kept me safe!! Needless to say, there are MANY folks out there who have had this experience.....leaving one of our dogs with a vet......I was sick over it, but knew it was in Bubba's best interest. It was one of the hardest days and nights I have had!! BUBBA is now home with me............resting at my feet like the KING that he is............ I do believe in miracles and I do believe that we have received one with Bubba......It will be a long and slow recovery but chances are when you come to visit the kennel, you will get to meet Bubba and see that he is just an ordinary dog............to most........... :) But to me.....he is an amazing animal who showed strength and loyalty in a time when he was hurting and scared.......He was a model patient so they tell me : ) and I kinda figure he would be since he LOVES GIRLS : ) haha He had wonderful care and love from the staff of the Akron Clinic and we are indebted to them for life!! Bubba's WILL to continue is an inspiration that I want to share with people. Bub is feeling good......was outside laying yesterday, enjoying a little fresh air : ) We had some sunshine too, which we all enjoyed! He is mending slowly and the progress will take time. He is very tired! 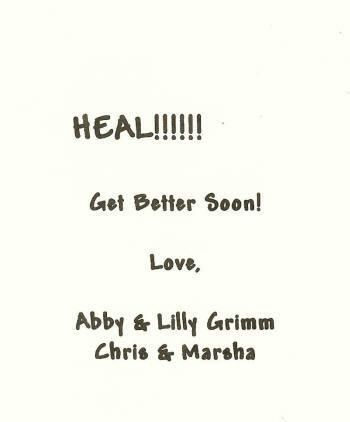 Just wanted everyone to know that we SO APPRECIATE all the cards, emails, phone calls and Prayers!! THANK YOU from the bottom of our hearts!!!!! can see from the pictures to get HIS present : ) haha! Kathi had cookies in there too : ) THANK YOU KATHI! You know my BOY!!! 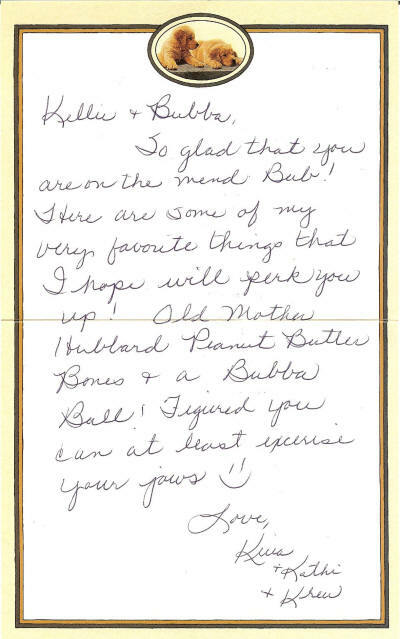 This is from JoAnn who is getting Cree and Kazan's daughter "DORI"
Hey Bubba Boy. I just read your story from your Mom. I began to cry. As I read through it I could not even think I could make it to the end but I did. 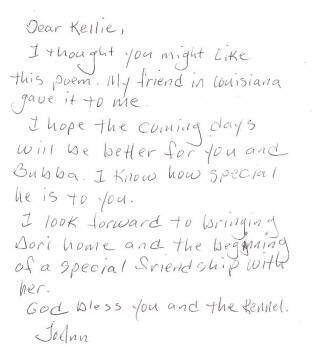 Dear Bubba what a happy ending. I am reading to your wonderful, beautiful, niece Miranda. She sends ALL her love with a big WOOF!!!! I am definitely praying now and we all will be!! Your Mom is SOOO right. God is there and he is wonderful. Sometimes we don't understand why but all we can do is put it in God's hands. You have a wonderful, caring, super, family that loves you. Take care big guy. Randy, Miranda, and me are with you!! Your Mom was there for me when my baby could not come home. I am here for her! Lil Bubba is a son of Cheyenne & Bubba. Heidi is a daughter of Cody & Buddy. 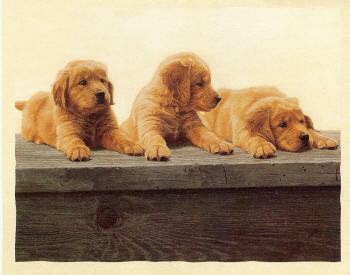 I know that soon you'll be out and keeping all those puppies in line again. We'll come see you this summer :0)Listen to your Mama! 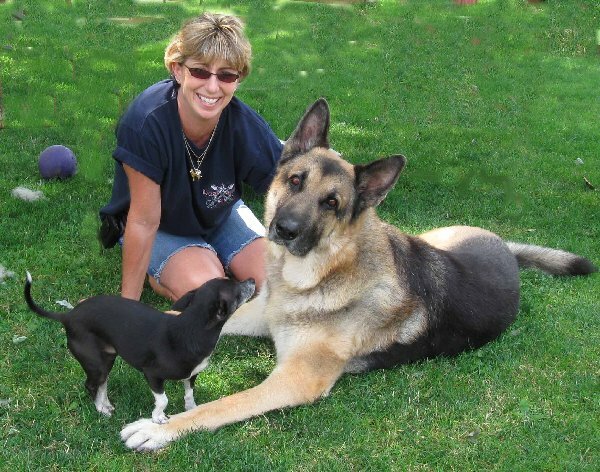 Tami & Capone, a Sylvia & Red Son. Resting outside : ) We finally seen some SUNSHINE : ) He is on the MEND! THANK YOU EVERYONE for all the PRAYERS!! It's been a WHOLE WEEK since Bubba's surgery & Bubba is really doing well. He still waits for me to go for a walk.......just what the doctor ordered and he is still just so amazing!! Well.......Bubba has been home now for 2 weeks and 2 days......and he is doing very well......The incision is healing nicely and he is wanting to play more everyday......we still have to keep him quiet and he is not allowed to be ROWDY : ) haha can't remember when Bubba was rowdy!!! He is just my big ole couch potato!! :) I dearly love you Bubba.....with a deepness that is hard to explain.....You continue to make ME a better person, more compassionate, loving and caring.... truly you are a gift from God!! THANK YOU ALL for being a part of Bubba's recovery. Honestly, it's been wonderful having everyone there and meeting new folks through all of this. It's far from being over............but we are definitely on the MEND : ) Appreciate all the calls and emails! It's kept me thankful for all the wonderful folks out there who have become our FRIENDS! Bubba is slowly getting better......Doctor says about 4-5 months of healing yet.....Guess we shall be into FALL by then!! Can't believe that it's been over a month since his surgery. Time sure does go fast doesn't it? Thank you all for following Bubba's story. He still amazes me and is closer then I could ever imagined : ) We are taking a little weight off of Bubba as well.........Dr says it will help the healing and the arthritis that has set in......I am so dedicated to Bubba and Cody......Hope you all know that a shepherd's love never fails~ They are so incredible and consistent! Thanks again for checking on Bub's update! He really is doing well......We are so thankful! We have had RAIN for over a week and expected more, so we are doing alot of PLAYING IN THE HOUSE! Bubba is getting along pretty well.....still a little unstable if he is excited or wants to RUN, but he is doing well! In between Rains, we try to make it outside for a short time. Bub is doing pretty well! WE are JUST HAPPY that he is here with us and we are so THANKFUL! Well, we are extremely happy with Bubba's progress and he is definitely feeling pretty good.... He has lost a little more weight so folks who see him now, comment on him not being SO BIG : ) But because of Arthritis issues, he now will have a slimmer physique :) He is still my shadow night and day and if he could talk I am sure he would tell me his deepest thoughts......although I am sure I know most of them : ) He is very grateful and shows it everyday. He acts like a puppy when I arrive back in the house from an errand.....it's hilarious......You would think I was gone for the whole day!! Anyone out there remember what LASSIE would bark like in his shows and movies? That BARK that you knew he was TALKING : ) That's the kind of thing that Bubba does and I call him LASSIE when he does it : ) haha He is, I think, what a lot of folks experience.......a perfect companion! 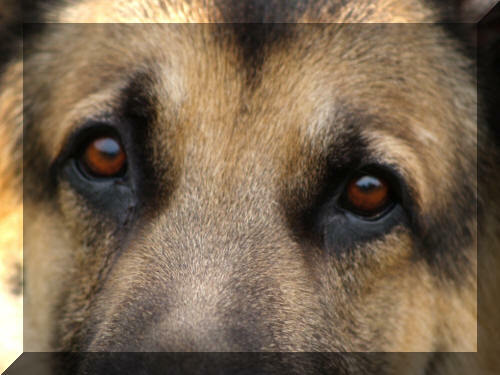 And it's not because he is a German Shepherd, it's because he has an incredible heart and soul. I hope that all of you reading this have had this experience at least once in your lifetime. It's truly a blessing! I know I write a lot about Bubba and yet, he isn't the ONLY ONE......but he is like my husband.......strong, caring, loving and kind and always willing to do what I want : ) haha Guess I should consider myself THE LUCKY ONE! Bubba is never very far from my side, and I couldn't be more thankful for that! He is truly a blessing! I am in love and thankful to have experienced it : ) He has shared a lot of changes here at the kennel and house.....He has made a lot of the changes easier : ) Not sure if I could really find the right words to tell you all how I feel about Bubba and what we do here......I have said before that it's a "Sickness" and I do believe that is one way to explain it :) It's deep within me, within the walls of my home and kennel......it's everywhere all the time, surrounding us daily...It's something that is hard to explain but easy to feel. 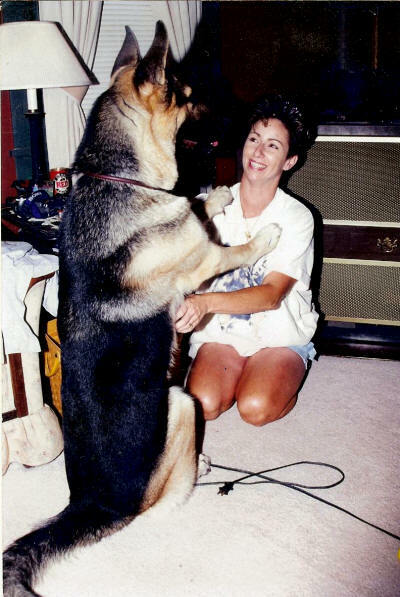 I hope that everyone can understand me.......I truly LOVE what I do and hope that I have been able to place some of that love and commitment with you, with a puppy from Mintern's German Shepherds.......it's truly from our soul and the souls of our shepherds! Thank you, everyone, for all the love, support and prayers!! THANK YOU for keeping up to date and please know that these dogs and my family are just a TRUE BLESSING!! I am thankful DAILY as I walk this walk......... I sure hope that you are blessed in your life as well.....stop and enjoy!! stop and smell the roses........it doesn't last forever!!! WOW, it's been a while since updating BUBBA'S page : ) He is doing WELL!! He continues to enjoy the GIFTS that folks bring.....Marsha brought him a stuff dino with eggs the other day.....he hasn't put it down.....when he does, the Chihuahua's get it and go nuts with it : ) it's hilarious!! Thank you MARSHA~ You are a wonderful friend!! FALL is here and we are enjoying the cooler weather.....Bubba continues to watch the "babies" for me and goes to the kennel daily.....loves the puppies.....he is happy and we are too! !~ We thank all of you who have called, wrote and stopped by to check on BUBBA :) He is really and truly a wonderful friend to me.....I am soooo blessed! Kellie and the Mintern Gang!! 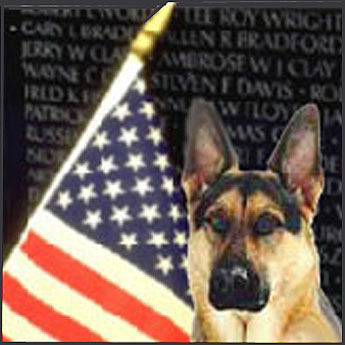 THANK YOU BUBBA.........He is just one of those dogs..........I am so blessed to have him in my life! Bubba is doing pretty good.....He has had a little trouble with Arthritis over this long and cold winter that we have had. He is still the most incredible dog I will ever have grace my life. I am so truly BLESSED daily with his love and loyalty!! I just wanted to let everyone know that he is doing pretty good! He is HELPING me raise another PUPPY in the house....Watch for updates! 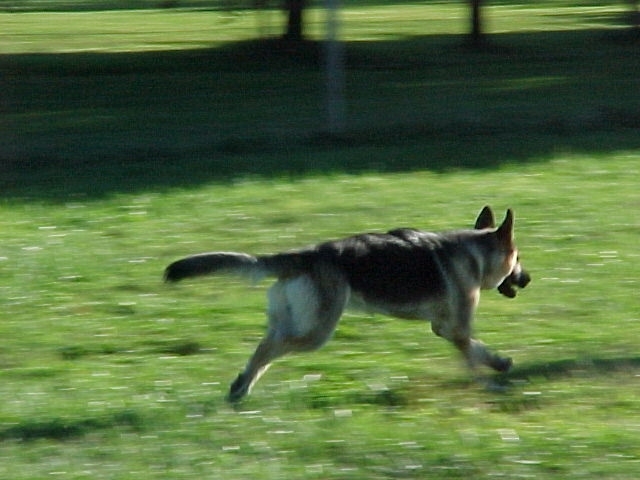 Getting ready for SPRING....we had a few nice days and the dogs were LOVING it!! 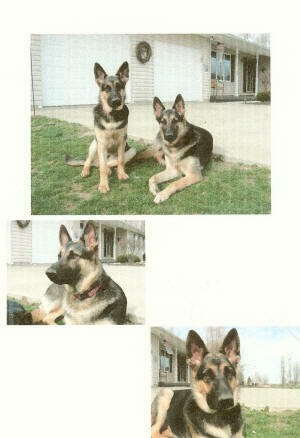 I love these two dogs.....they are my kids......they fill my days with love and happiness! I am IN LOVE WITH MY DOGS!